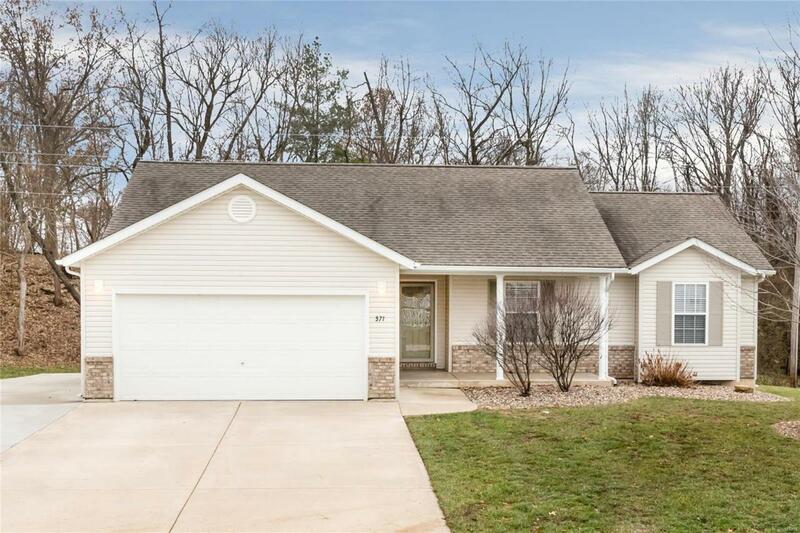 Come and see this beautiful ranch home with a premium lot backing to trees. Gorgeous wood floors greet you at the entry foyer and flow into the great room and down the hall throughout the bedrooms. The kitchen, breakfast, laundry room, and bathrooms have ceramic tile flooring. The kitchen features stainless steel appliances, a tile backsplash, and cabinets topped with crown molding. There is an open staircase to the basement with spindled railing, decorative casing around the windows, crown molding in the bedrooms, as well as picture frame molding in one of the secondary bedrooms. The breakfast room leads to a large deck with iron balusters in the private yard which backs to trees. There is an inviting covered porch and a large third car parking pad on the side of the garage. Neat, clean, and move in ready. The community offers playgrounds as well as a community swimming pool. Check it out today! Listing provided courtesy of Midland Realty Associates. Listing information © 2019 Mid America Regional Information Systems, Inc.